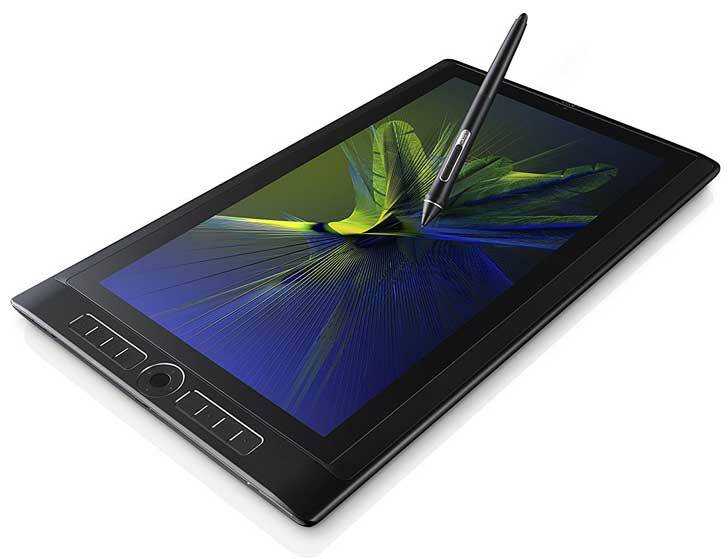 Which are the Best buy drawing Tablets – Drawing Tablets for All Digital Artists? 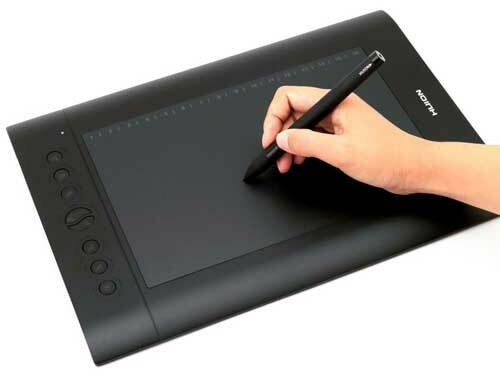 Choosing the right drawing tablet all comes down to each digital artist’s personal choice. Some want an indirect pad where you draw on the pad and it appears on your laptop or PC screen. Others prefer a direct pad where you draw directly onto the screen of the tablet. Are you looking for that one tablet that comes with the best software so that it is ready to go right out of the gate? Perhaps you just want something simple to start out in the world of digital artwork. Figure out which tablet is the one for you by scrolling through this list of five best buy drawing tablets, each holding a specific title as being in our opinion the top choice in their particular class. 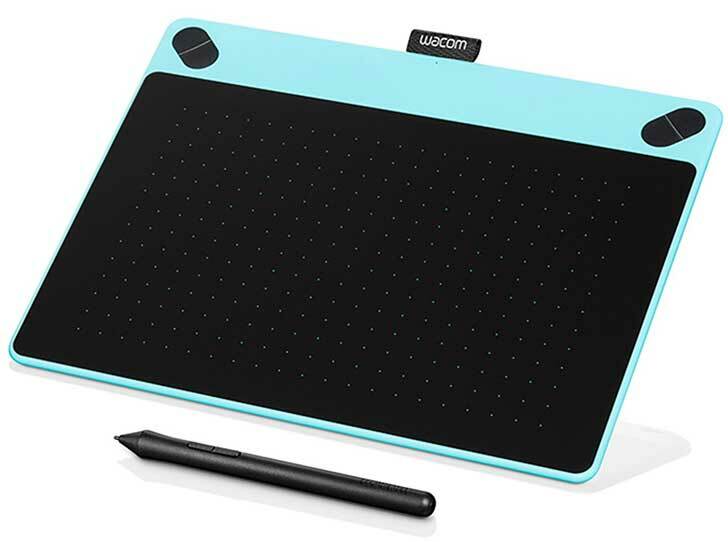 Wacom have a range of small and medium indirect draw tablets that are absolutely ideal for entry level as they are inexpensive, high quality and software is included. This is a great package to start with and I have recently purchased the Intuos Art medium which comes with downloadable Corel Painter Essentials drawing and painting software. There is also access to online tutorials, a free 8×10 metal photo print, and an 8×8 Shutterfly Photo Album. 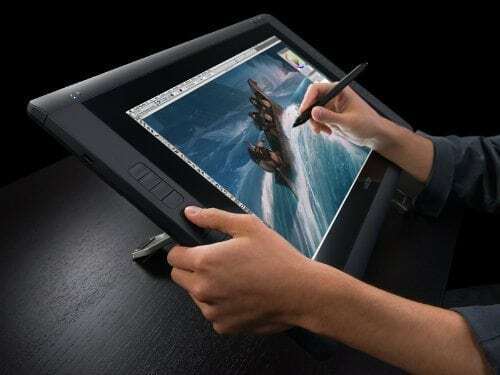 There are four tablets in this range – Art, Comic, Photo, and Draw which are basically the same tablets but with different software to suit each style of drawing. The main reason I bought the Intuos Art (rather than another model in this range) was to try out the Corel Painter Essentials software. It turned out to be ideal for the type of work I produce, which are predominantly cartoons. You will need to consider which included graphics package is best for your style of art. The Intuos photo comes with Corel AfterShot Pro, RAW photo editing software. For Mac Mac, you’ll also receive a Macphun Creative Kit. For PC you’ll also get Corel PaintShop Pro. Intuos Comic comes with Clip Studio Paint Pro and Anime Studio software. Check out the full range as each tablet has the different included software. I have most of the other graphics and drawing software available with each different model and they all work seamlessly as do PhotoShop (CS & Elements) Sketchbook Pro and all other main graphics software brands. Out of the box, the tablet is simple to set up with an installation disc that is easy to follow. The tablet needs to be attached to your computer using the USB lead that comes with the tablet. 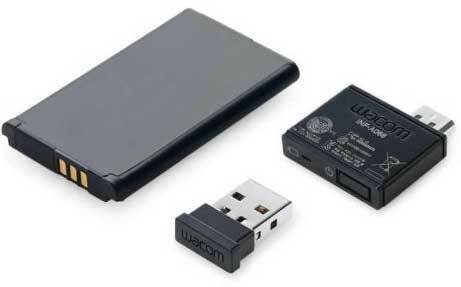 There is a Wacom wireless conversion kit if you don’t want the connectivity restriction that a fixed lead causes. Pressure sensetive pen battery free. Runs with most current graphics software packages. USB Cable provided to connect to your PC (There is a separate wifi kit available ). I use this for on the go work with my laptop as the tablet fits easily into a shoulder bag or portfolio case. It is light, easy to set up anywhere and gets the job done without having reams of paper to scan into my PC. If you are looking for the best buy drawing tablets the Intuos range are the front runners look stylish and are packed with Wacom technology. For the price and sheer quality of build and technology, you can’t beat this. 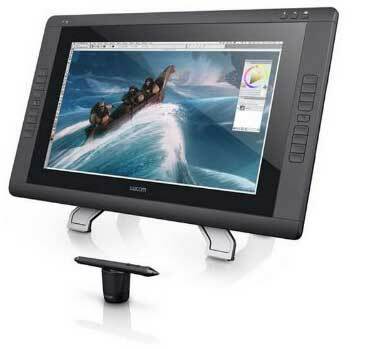 The Wacom Cintiq 22HD is the perfect tablet for the most professional digital cartoonists. The highlight of this tablet is its direct pad that allows for the most natural and most real feel — the closest thing to actually drawing on paper. Sixteen express keys, plus touch strips and radial menus provide fully customizable controls in your hands. These one-touch features easily boost productivity by eliminating the need to always keep a keyboard close at hand. You are totally in control of your ship and make the captains helm your own! The surface of the 22HD is the best and brightest in the entire Cintiq desktop line. This allows for a natural, fluid, and comfortable drawing experience. The paper-like active area is the ideal size. When matched with the included pen allows for excellent pressure sensitivity, registering the lightest of strokes with the utmost precision. Complete control of 4 functions in each application such as pencil/brush size, scrolling and zooming using rear-mounted, Touch Strips / Touch Strip toggle buttons. The stand allows you to position the tablet at your desired angle. The Cintiq HD model allows you to revolve the unit to match any desired arm angle you wish to work with. What’s in the Cintiq HD 22 Box? The 22HD is the absolute best all-around tablet in the Cintiq desktop line. It exceeds all others with its many capabilities and overall versatility that can achieve even the toughest of jobs. It is, in my opinion, the best desktop tablet on the market for build, features, screen size and value for money. Not everyone has the means to buy a top range Cintiq. I made do with a second-hand Motion tablet that I bought from eBay and although it was quite limited I still produced reasonably good work. Back in the day, a Cintiq was a distant dream particularly for the larger 22″ desktop version that I wanted. The great thing about technology is that it is always on the march forward and there are some exceptional alternatives available. If you don’t have the financial means to get your hands on a Wacom Cintiq 22HD, the Huion GT-220 V2 has proven to be the best alternative. It costs a fraction of the Cintiq 22HD. This is a really impressive machine that will serve you well and is packed with high tech features to produce a realistic experience and quality results. 8192 Levels of Pen Pressure Sensitivity which is x4 the normal found in other tablets. Contrast Ratio 1000:1, 5080LPI, 233PPS. The battery-free pen runs for 350 hours on a 1.5-hour charge. 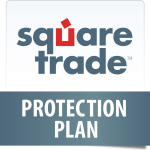 A years warranty as standard. Comes with: Rechargeable pen and x 10 nibs, tablet glove and screen protector. Thanks to this tablet’s ultra-wide viewing angle, artists can create widescreen content with ease. The best asset of the GT-220 is its screen — between the tones, colors, and overall brightness, it’s gorgeous, making it an absolute pleasure to create with. This is one of the best tablets on the market in terms of size for a remarkable price! The Huion 610 Pro Graphics Drawing Tablet has consistently proved to be a favorite. There are very good reasons that it attracts one of the highest approval ratings from customers on Amazon. It is robust, reliable, draws exceptionally well, is packed with customizable controls and looks great. You really do get a lot for a low price. Surface quality has been recently enhanced to give a highly realistic paper feel. Eight customizable control buttons on the side and sixteen hotkeys providing ultimate personal control. Comes with a tablet glove and carry bag. If you’re just starting out and aren’t sure whether you’d like working with a more expensive tablet, this is another of the best graphics tablets for beginners. The sleek, natural-feeling surface provides ample size for even the hardest of tasks. There is enough pressure sensitivity to allow for even the most precise strokes. The Wacom Mobile Studio Pro range is, in my opinion, the very best in digital mobile graphics tablets. I base that opinion on my long experience with mobile direct draw tablets. I was so impressed with the Wacom Studio Pro range that I bought the 16″ 512Mb model. It was a tough decision to make in financial terms as these cost a fair wedge of cash. However, I knew that I would get real value from this and would be using this for a long time to come. The investment proved to be sound. I have increased my output by at least 100%. It paid for itself very quickly and is one of the best art investments I have ever made. When the box arrives you get the tablet preloaded with Microsoft Windows 10, Wacom drawing stylus with spare nibs and the power pack to run the tablet from the mains. You don’t get any free graphics drawing software apart from the basic drawing package on Windows 10 (which I have found very useful as a quick sketch tool before getting down to serious business). This was a bit of a disappointment considering how much the tablet cost. On the flip side, I suppose that if you are going to buy the Rolls Royce of direct draw tablets you would usually have software to hand? 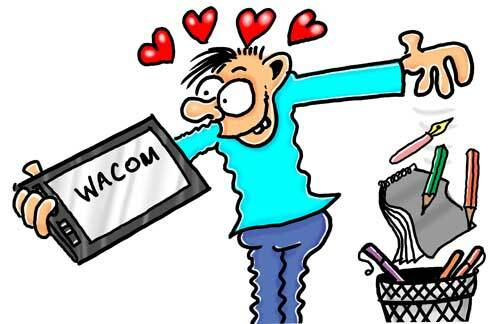 If anyone from Wacom is reading this then just consider adding some graphics software – it is the least you can do! I found the drawing experience to be amazingly good. The Wacom stylus is so responsive on the screen that it is impossible for me to fault it. I find the 16″ model the perfect size for on-screen drawing. I had a previous 13″ model and occasionally it cramped my style. The 16″ model is big enough without being cumbersome. It is quite heavy for a portable graphics tablet and for prolonged use I would advise that you get a tilting stand. For shorter jobs, I simply use the tablet on my lap without discomfort. If you are into high spec’ graphics production there is enough computing power to run any 2D, 3D, and CAD applications. On selected models, the tablet is 3D ready with a built-in Intel Real Sense camera and scanning software. If you would like to see a more in-depth article on this fantastic tablet range I have reviewed all models in the Wacom Studio Pro range which you can view here. Don’t be put off by the price. If your budget can stretch to this you will be more than happy to be using this amazing tablet. I waited too long and wish I had bought this much sooner – It feels Christmas every time I turn it on to draw! Deciding on the right graphics drawing tablet for your own brand of artwork can be a difficult choice. Until you have actually used a tablet you won’t get to see it at it’s full potential. If you are really serious about an art career you really should be looking at a top range tablet plus a good portable tablet. Best buy drawing tablets don’t mean the cheapest – it means the best buy for your long-term success as an artist. I have settled with the Wacom Studio Pro 16″ 512Mb as my main tablet which is also portable. When I am limited in space and on the move I use my Medium Wacom Intuos Art tablet which is wafer thin, lightweight and extremely responsive. I always have my laptop with me so it makes perfect sense to me to keep the Art tablet handy. The smaller version in the Wacom Intuos tablet range is also a very good choice for mobility. Very handy for working in confined areas such as trains and limited hot desking. Between the two tablets, I can produce high-quality work at the optimum time and it works for me. You just have to consider your own circumstances to gauge which tablet will deliver the best results in the most practical way. Cost is a major factor in tour decision and it is only recently that I have purchased the Wacom Studio Pro which is amongst the most expensive tablets on the market. Again I would stress that if you can afford the Wacom Studio Pro you will be making a great investment in your artistic future. If you would like to buy a larger direct draw tablet without having to shell out a lot of money the Huion GT-220 V2 is a very good buy. Although it is not a mobile tablet it does offer a heck of a lot for the money. It is, in my opinion, the best Cintiq alternative on the market at this time. On the lower cost end the Wacom Intuos range is well priced especially if you have not already got a graphics drawing software package installed. 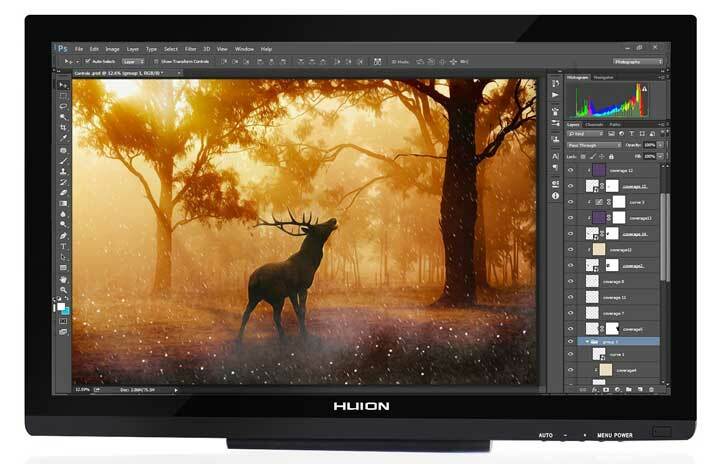 If you already own a graphics software package then the Huion 610 Pro Graphics Drawing Tablet is a proven favourite and consistently get very high customer approval rating.